"The town is hilly and uneven. The highest point in town is in the northwestern part of the township, which is cut off from the main chain of the Green Mountains by a brook. Lord's Creek flows north through the eastern part of the township, having several tributaries. There are other minor streams in town. There are also several ponds, the principal of which are Great Hosmer, Hartwell, Page, Heart, and Duck ponds." The town's original name was Lutterloh and its first road was Bayley-Hazen military road, built in 1779, according to the Orleans Country Historical Society, which also notes a "large amount of smuggling in the area around 1813." Your letter came to me about a month ago and I am patiently waiting waiting for some definite date regarding the family of your mother V [?] grandfather — and can you tell me any thing of Moses, (a brother of Stephen) who died in Me [Maine]. Have written Mr. Cummings. So, they were working on some genealogy, it seems. 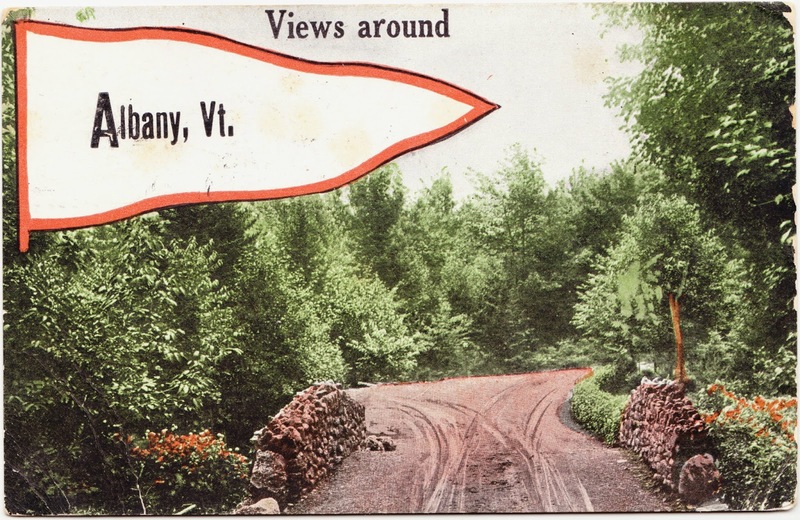 There was definitely a Delia Darling Honey of Albany, Vermont. According to this website, she died on April 17, 1949, at the age of 101. This is just one tiny piece of all the hard work she did over the decades on her family history. What on Earth does this have to do with soap?